The past 18 months have seen an immense amount of economic, diplomatic, and even military activity relating to the Korean Peninsula. The development of a North Korean nuclear weapons system capable of reaching the US mainland – and thus potentially cancelling out the US nuclear umbrella over South Korea – has led to a strong campaign by the Trump Administration to deal with the issue once and for all. By kind invitation of Sir Geoffrey Clifton-Brown MP, with the Ambassador of the Republic of Korea Park Enna in attendance, and in collaboration with Kings College London and the School of Oriental and African Studies, the Henry Jackson Society is proud to welcome you to the launch of a HJS Report on Negotiating the Peace: Diplomacy on the Korean Peninsula. Dr John Hemmings is the Director of the Asia Studies Centre at The Henry Jackson Society, and an adjunct fellow at the Japan Chair at CSIS. 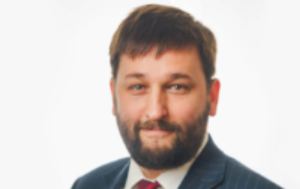 He has written on foreign and security policy in Northeast Asia for nearly 10 years and had research positions at the Royal United Services Institute and the Asia Foundation. He recently finished his PhD (2017) at the LSE on US foreign policy in the Asia Pacific, namely in the area of alliance-construction. He lived in Japan for five years. Dr Tat Yan Kong is Reader in Comparative Politics & Development Studies at SOAS, University of London and Co-Director of the London Asia Pacific Centre for Social Science. 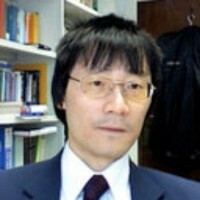 He is the author of The Politics of Economic Reform in South Korea: A Fragile Miracle (London and New York: Routledge, 2000). His other publications include articles in journals such as Political Studies, British Journal of Political Science, Economy & Society, Politics & Society, Review of International Political Economy, New Political Economy, and The Pacific Review. Dr Kong served as the Head of the Department of Politics & International Studies at SOAS (2006-10). Dr Ramon Pacheco Pardo is Senior Lecturer in International Relations at King’s College London and the KF-VUB Korea Chair at the Institute for European Studies (IES-VUB). He is also the Co-director of the London Asia Pacific Centre for Social Science. He holds a PhD in International Relations from the London School of Economics and Political Science (LSE). Dr Pacheco Pardo is also Committee Member at CSCAP EU and Korea Foundation Korea-Europe Next Generation Policy Expert alumnus. He has been editor of Millennium: Journal of International Studies and currently sits in the editorial boards of EU-China Observer and Global Studies Journal. His publications include the book North Korea-US Relations under Kim Jong Il: The Quest for Normalization? published in 2014 and translated into Korean in 2016. By kind invitation of Sir Geoffrey Clifton-Brown MP, with the Ambassador of the Republic of Korea Park Enna in attendance, and in collaboration with Kings College London, the School of Oriental and African Studies, and KF-VUB Korea Chair, the Henry Jackson Society was honoured to host the launch of a Henry Jackson Society Report titled Negotiating the Peace: Diplomacy on the Korean Peninsula, in Committee Room 8 at the House of Commons. The authors of the report are: Dr John Hemmings, Director of the Asia Studies Centre at The Henry Jackson Society; Dr Tat Yan Kong, Reader in Comparative Politics and Development Studies at SOAS; and Dr Ramon Pacheco Pardo, Senior Lecturer in International Relations at King’s College London. Dr Pardo opened the floor by highlighting Kim Jong-Il’s focus on economic growth in North Korea and the hope of Democratic People’s Republic of Korea (DPRK) to revitalise the North Korean economy with South Korean money. Dr Kong followed up with an examination of the People’s Republic of China’s (PRC) relations with DPRK. He noted that the PRC is crucial for the survival of DRPK as well as for imposing sanctions. For the PRC, the goal of sanctions on DPRK, Dr Kong suggests, is to cause discomfort in the North Korean regime. Citing the example of the 1990s, when the PRC downgraded its diplomatic relationship with DPRK and cut food aid, Dr Kong highlights that the result was a more defiant North Korea that accelerated its nuclear capabilities. Dr Hemmings provided an overview of the report. The report arose from a closed-door roundtable event at the Henry Jackson Society with contributions from six experts, each focusing on a country—North Korea, South Korea, the US, the PRC, Japan, and Russia. 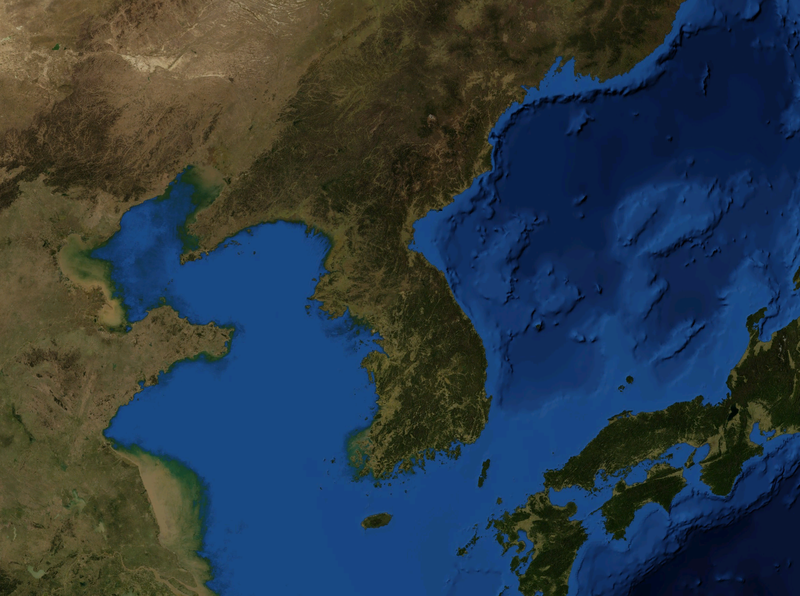 The report focuses on challenges and access points to negotiate peace on the Korean Peninsula, and concludes that there were concessions that each state have to make. For instance, although the US prefers a Libya-model solution, such a solution is too risky from Pyongyang’s point of view. However, North Korea does want change and wish for a peace regime. South Korea’s concern with the peace regime is the potential American military withdrawal from the region. The Japanese, meanwhile, has been sidelined from the issue and did not have a chance to participate in the meetings. Russia does not have direct national interests in the issue, but does have influence in the region. The authors of the report agreed that Russia and Japan should be sidelined and play a more important role when talks began on peace in the region. The economic interests of all six countries studied in the report do converge, though naturally there is a divergence in their national interests. In conclusion, Dr Hemmings hoped that this report may serve as a useful handle for practitioners and students alike. Ambassador Park expressed her fondness for UK parliamentary democracy and the rule of law. She thanked the authors for their work and insight, and believed this is a timely report to further understanding of the Korea issue. When Korea initiated the peace process, it was agreed that the process would be challenging and bumpy. The challenges are to overcome mistrust between the US and North Korea, though Ambassador Park commented that trust is not a pre-condition of the negotiations but rather can be built during the negotiations. The UK’s role in the negotiations process is to show our support for the peace process through our global media, our role as a permanent member of the United Nations Security Council, as an ally-like partner for the Republic of Korea, sending the right signals through our UK diplomatic mission in Pyongyang, and our historical contributions to the Korean War as the second-largest troop-sending country. In addition, the UK has an important role as the provider of aid through Department for International Development and through business investments. Ambassador Park concluded by indicating that she agrees with the authors’ findings that Russia and Japan should look at broader interests, and that global security should trump national interests. She hoped that Russia and Japan could play a more constructive role during the peace process, and look forward to concerted efforts throughout the negotiation process. Sir Geoffrey Clifton-Brown MP welcomed all to the House of Commons. He noted that the issue of the Korean Peninsula is a human rights issue, and reassured Ambassador Park that the UK supports South Korea at a human level.